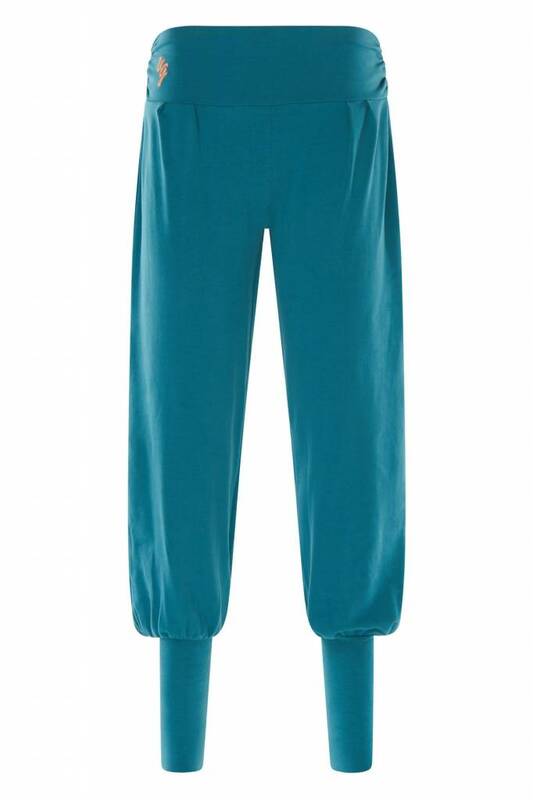 The Bhaktified yoga leggings are comfortable extra long yoga pants made with organic cotton. 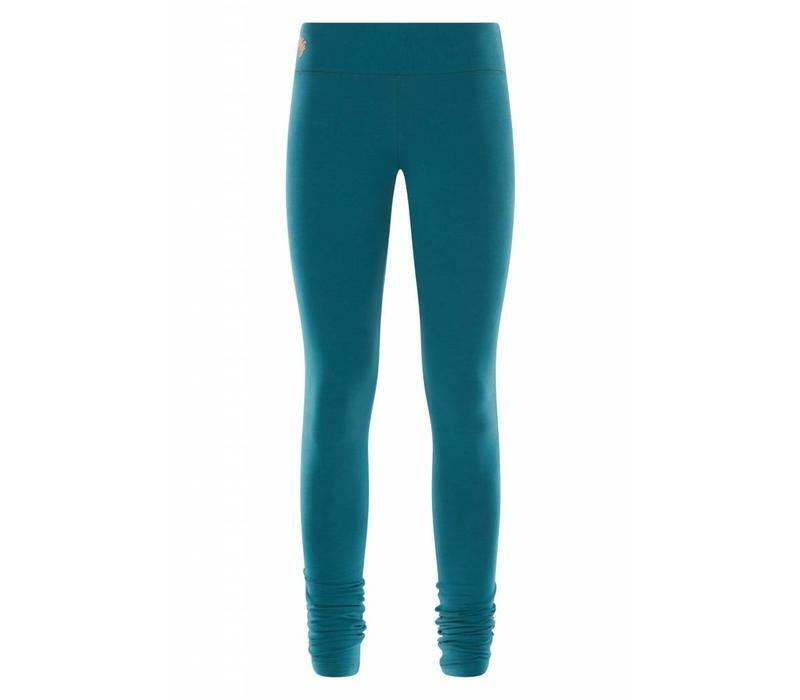 The leggings feature a soft and wide elastic waistband. The Bhaktified yoga leggings are a nice yoga pants with a soft and wide elastic waistband. 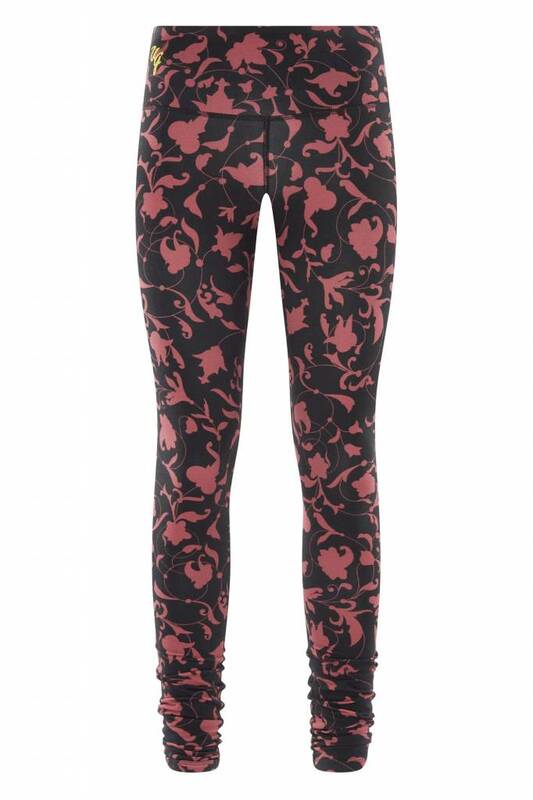 The leggings are made of beautiful brushed organic cotton and, like all other Urban Goddess leggings, are extra long. 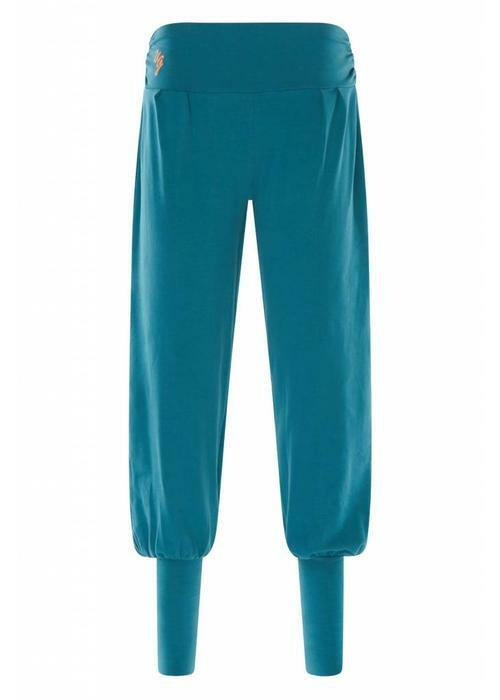 This is great for ladies with longer legs, and ladies with less long legs can even pull the leggings over the heel. These leggings stay in place well and move and breathe with you. The Bhaktified yoga leggings are suitable for almost all types of yoga practice from Hatha and Yin to Vinyasa and Ashtanga. 92% organic cotton, 8% lycra. Produced in Portugal. Urban Goddess only uses certified pure eco-cotton for their yoga clothing, which is why these natural fabrics breathe with you. They only use stamps for the care labels instead of labels to prevent itchiness or irritation during your yoga experience. Wash at 30 degrees, with similar colors. Do not tumble dry. Do not iron over the stamps. 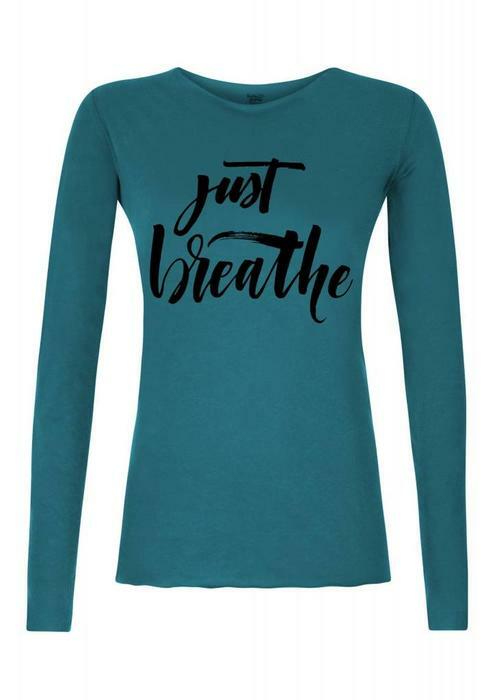 Urban Goddess yoga clothing produces all her yoga clothes with a heart for people and nature and for this reason they also want an honest and organic production of their products. They work with different factories in Europe and Asia. All these companies work according to ethical principles. Urban Goddess only uses GOTS ( Global Organic Textile Standard ) certified fabrics for their production, unless clearly differently specified. GOTS guarantees that the fabrics are made without any danger to people. This means good working conditions for the workers and the absolute exclusion of child labor. The GOTS certificates also mean that during the production of the substances the partners deal well with their waste and pollution. In addition, they are economical with their energy consumption. There are several protocols in use that ensure that a good environmental management system is used. Urban Goddess visits most factories themselves, and otherwise one of their agents visits them. In this way, in addition to all the guarantees of the certification, they can also be convinced that all ethical principles that they find so important are also complied with. 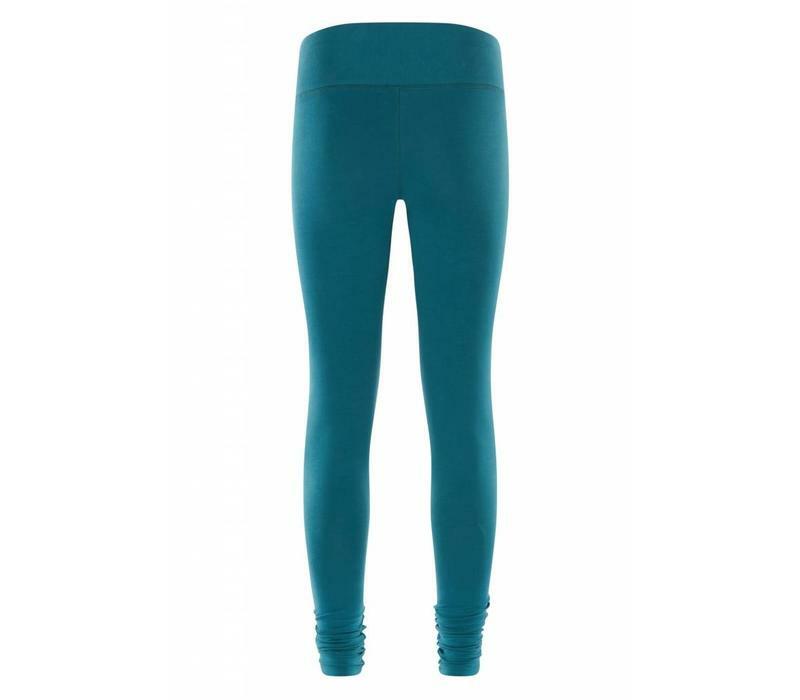 Yoga legging with extra high waistband made from a mix a bamboo and organic cotton. This material is breathable, sweat-wicking, and wonderfully soft. 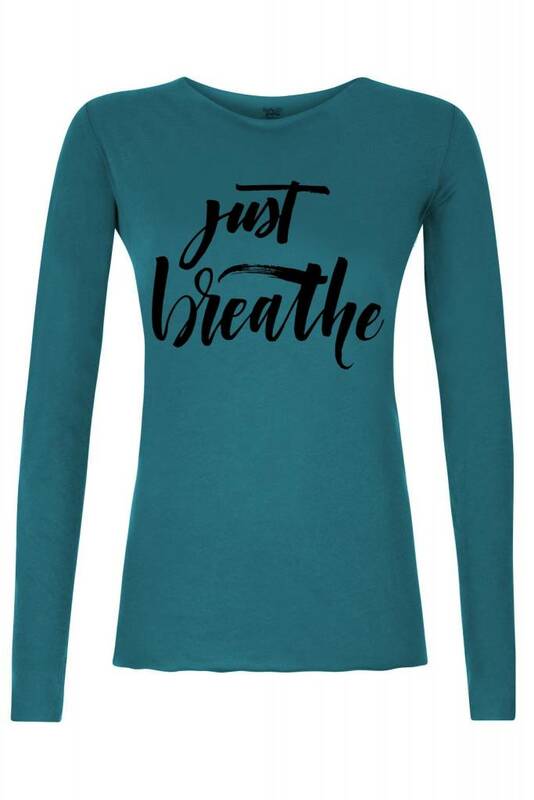 Also ideal for the more active styles of yoga. 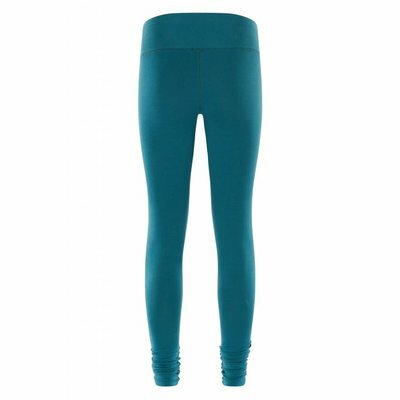 These super comfy yoga pants have a relaxed fit around the legs and are made with soft organic cotton. 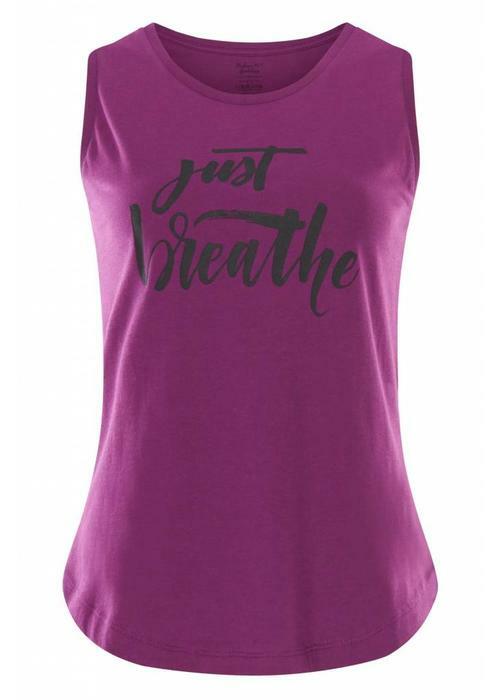 The Just Breath Tank is a super soft and hip yoga tank top made of 100% organic cotton. 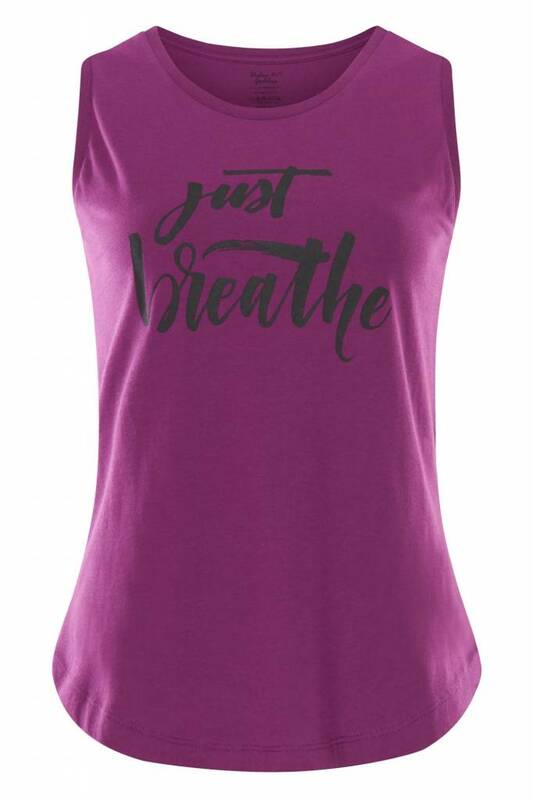 Because the fabric very breathable this tank is perfect for all styles of yoga, even the more active ones.